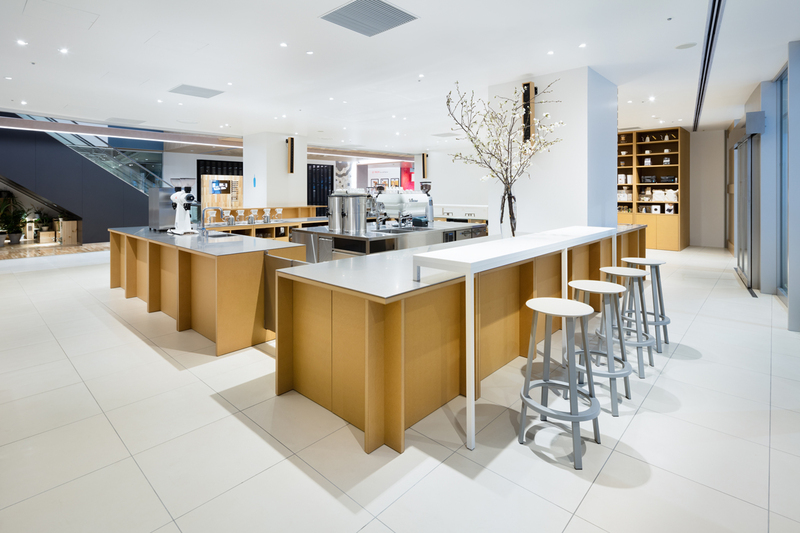 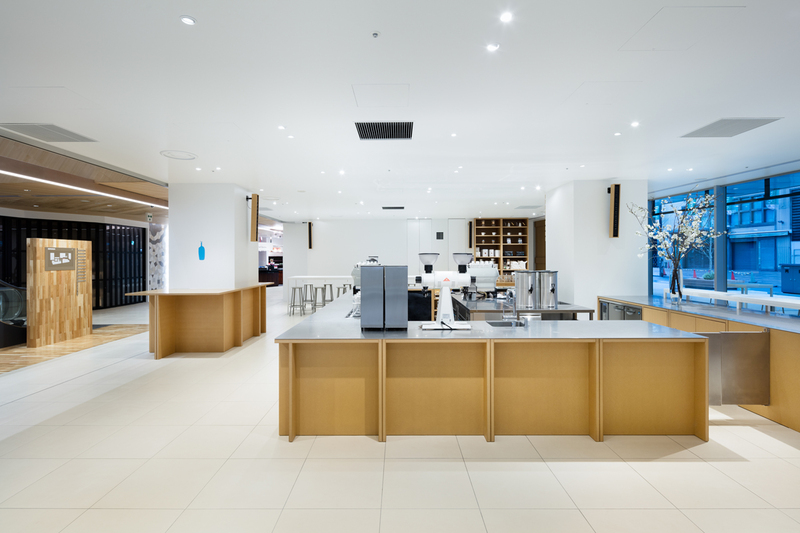 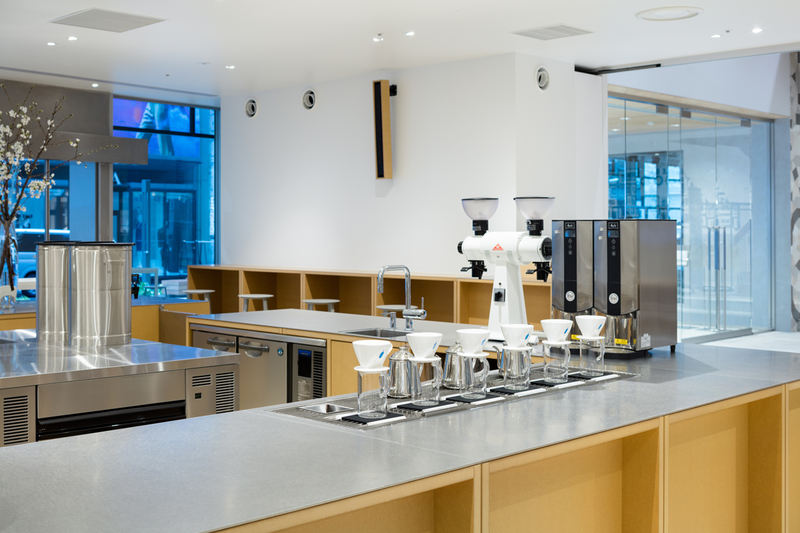 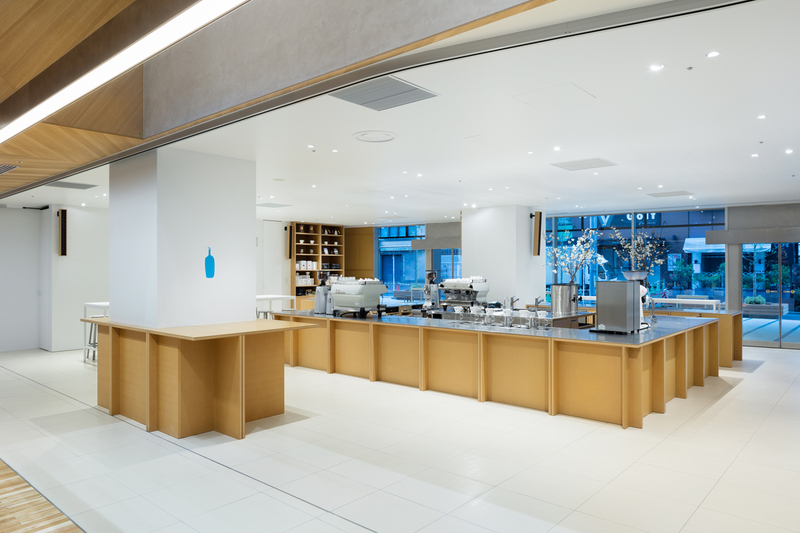 Blue Bottle Coffee Shinjuku Cafe The cafe is located on the ground floor of a newly opened commercial facility connected to Shinjuku Station. 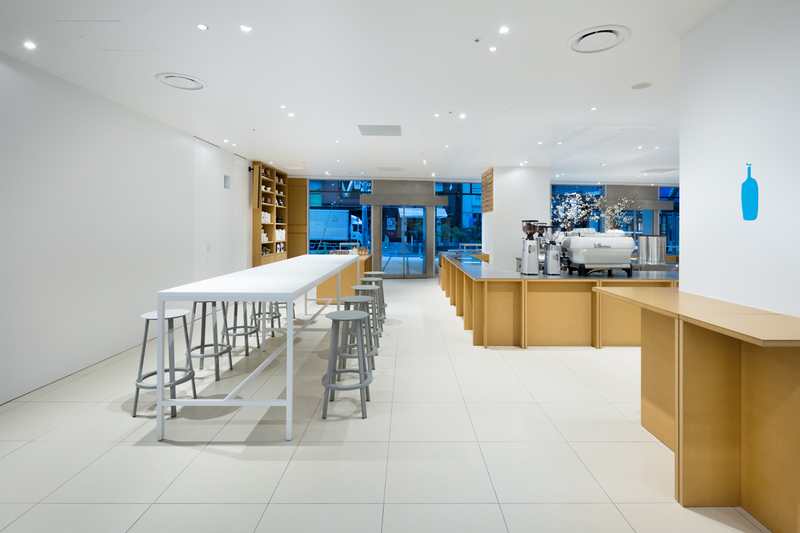 We intend to create a fair relationship between all people present: “hosts” and “guests” mixing with each other, people waiting in line, seated and standing customers; staff working at the casher; Ballista brewing coffee inside the counter and more. 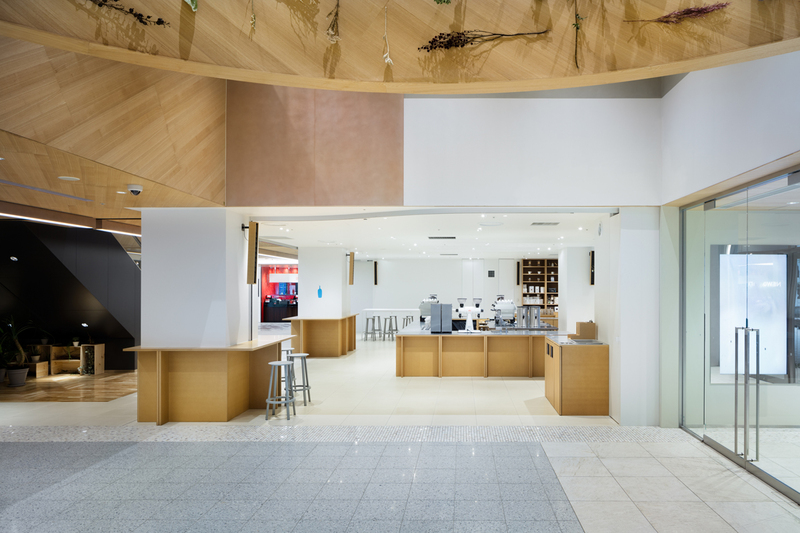 First, we carefully adjusted details to suit everybody’s eye level at the same height; then placed a hollow-square counter in the center where multiple layers of people overlap each other. 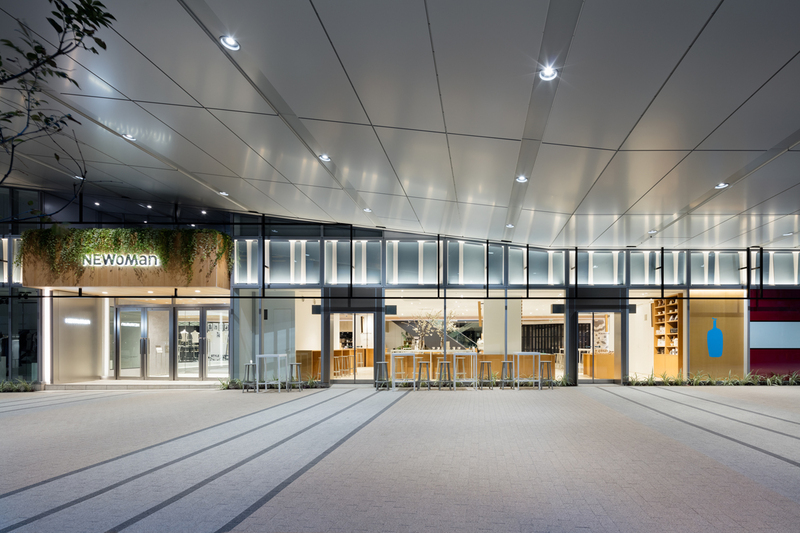 Furniture height is set below the waist height to keep out of sight; and floor and ceiling are finished with the same material as the common area, allowing the space to extend beyond and create a cafe that serves the entire facility. 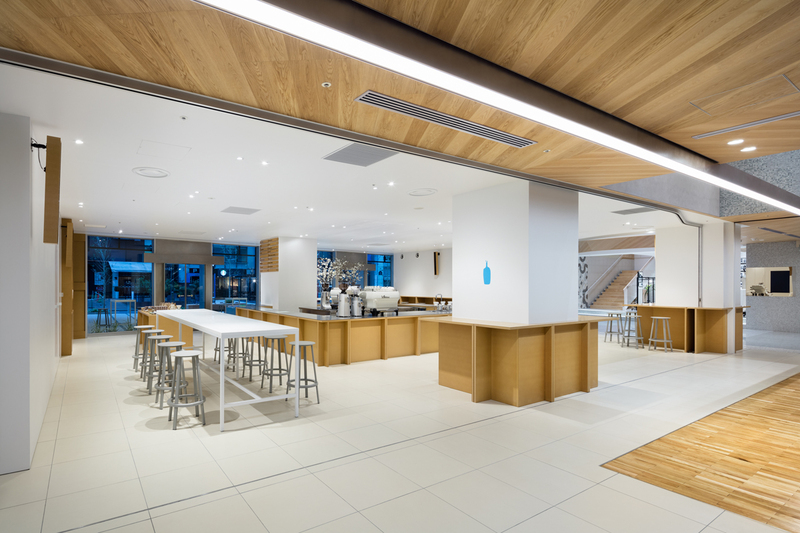 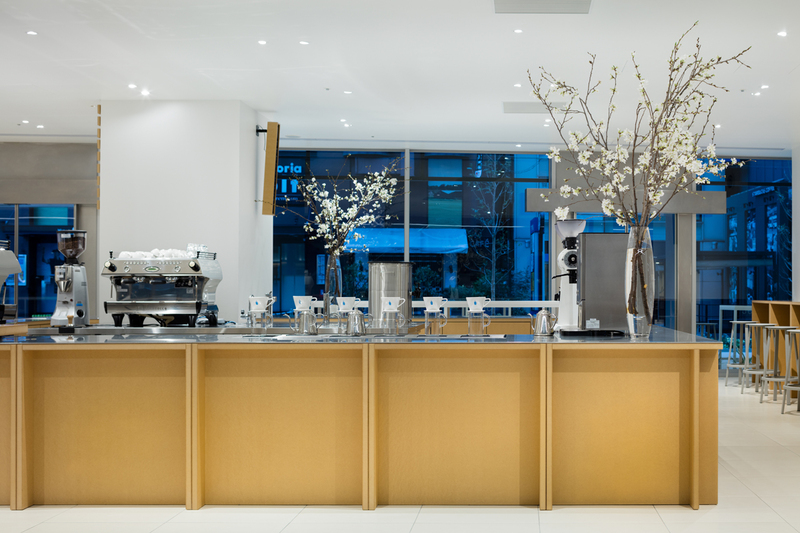 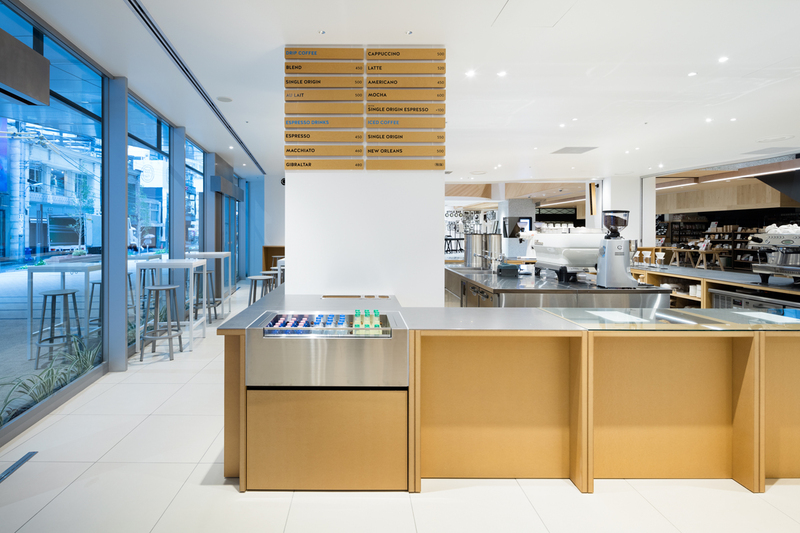 The new Blue Bottle Coffee counter stands here in the light-filled urban square.